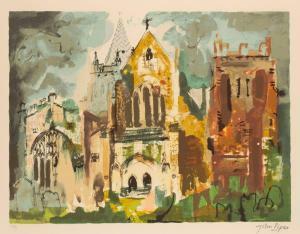 Find artworks, auction results, sale prices and pictures of John Piper at auctions worldwide. 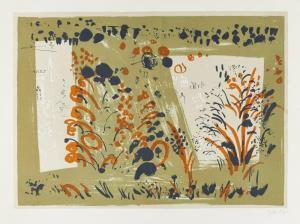 John Piper, C.H. 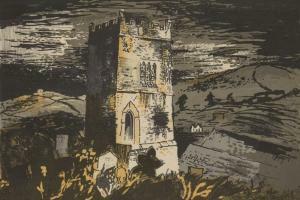 (1903-1992) Garn Fawr signed 'John Piper' (lower left) and inscribed 'Garn Fawr' (on the reverse) gouache and ink on paper 14 5/8 x 22 3/8 in. (37.3 x 56.8 cm.) Executed in 1970. 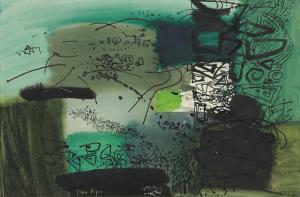 Provenance with Marlborough Fine Art, London, where purchased by and Mrs Maurice Wade in 1970, and by descent. 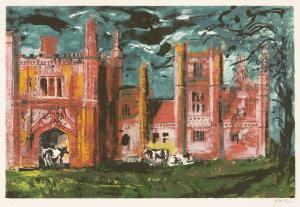 *John Piper (British, 1903-1992) EAST BARSHAM MANOR (LEVINSON 320) Screenprint in colours, 1981, signed and numbered 20/70 in pencil, printed by Kelpra Studio, London, published by Marlborough Fine Art, on wove paper, with margins image 55 x 76cm, framed *Artist's Resale Right may apply to this lot.